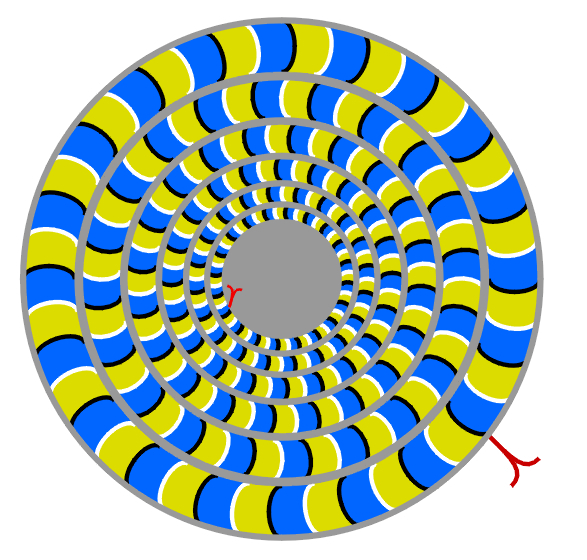 The outermost snake appears to rotate counterclockwise or to be stationary while the rest appear to rotate clockwise. 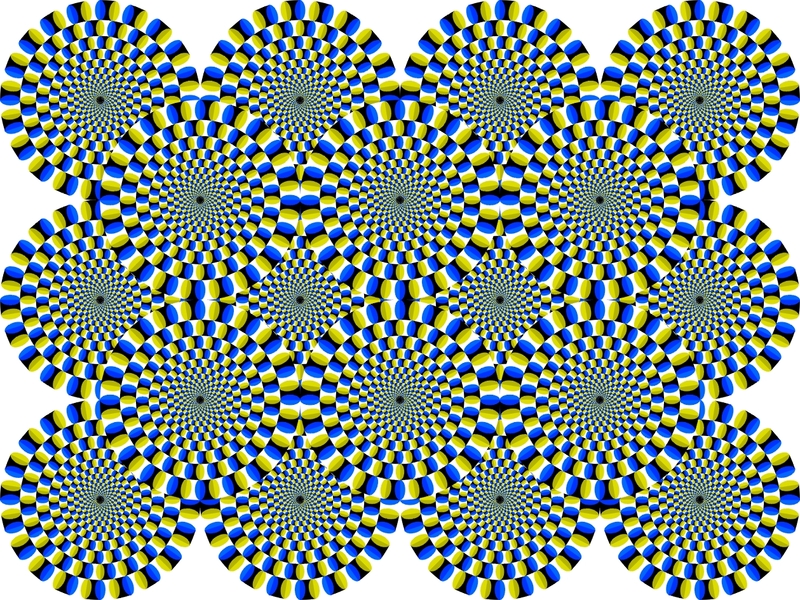 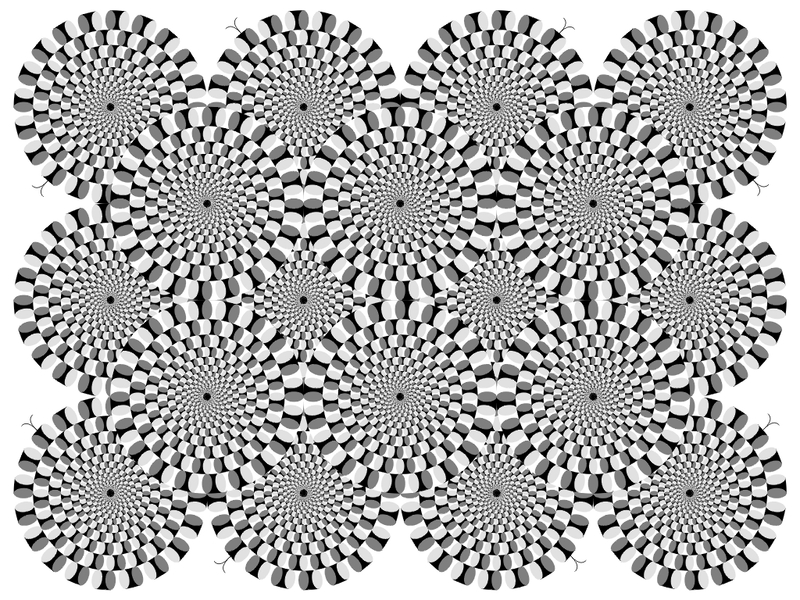 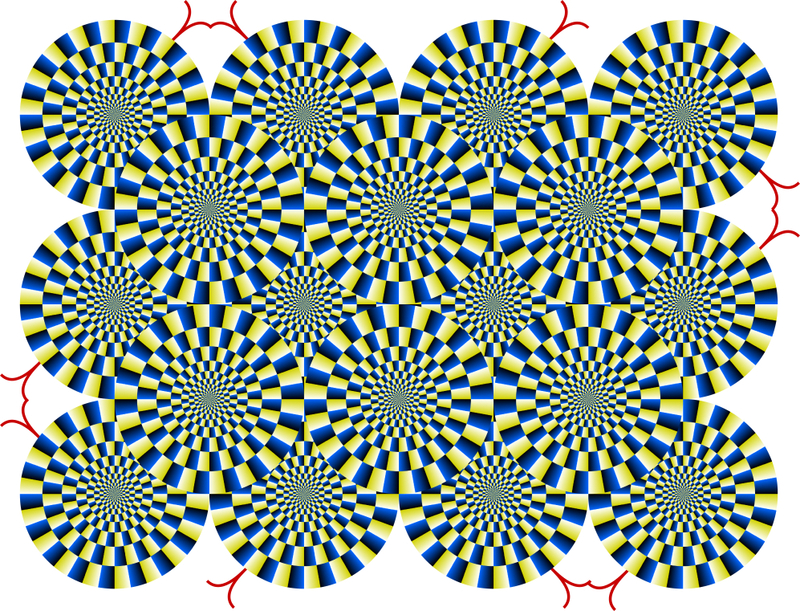 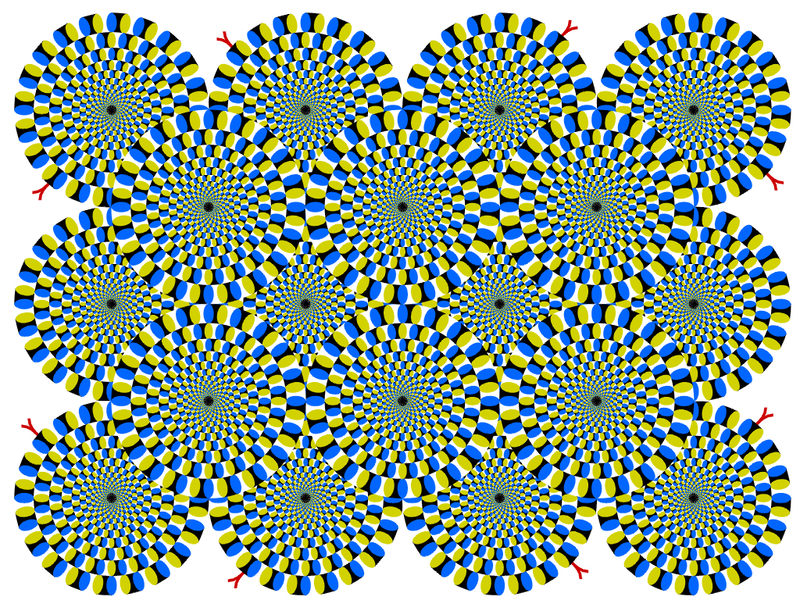 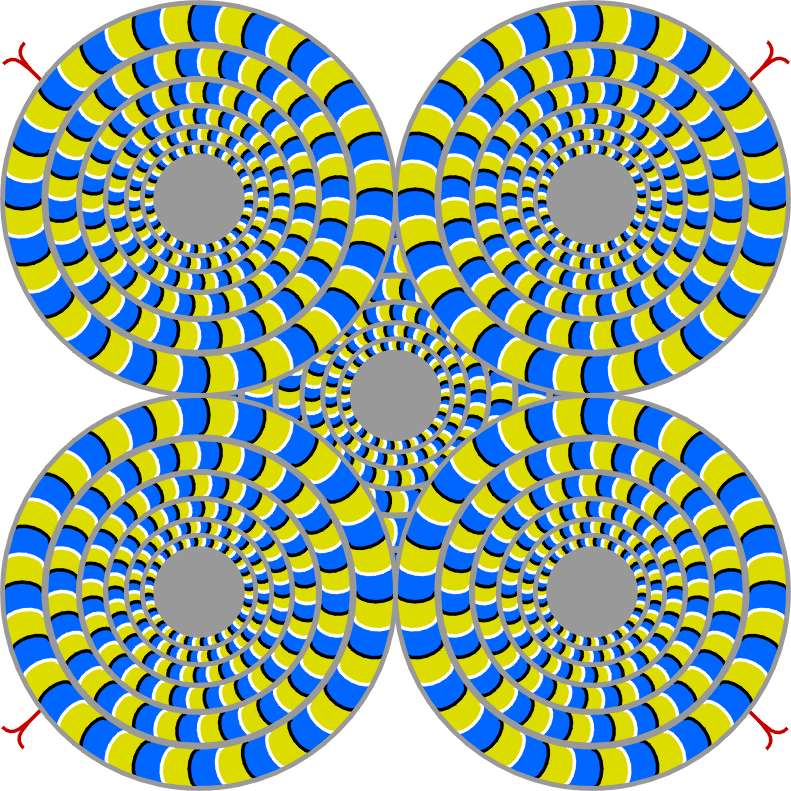 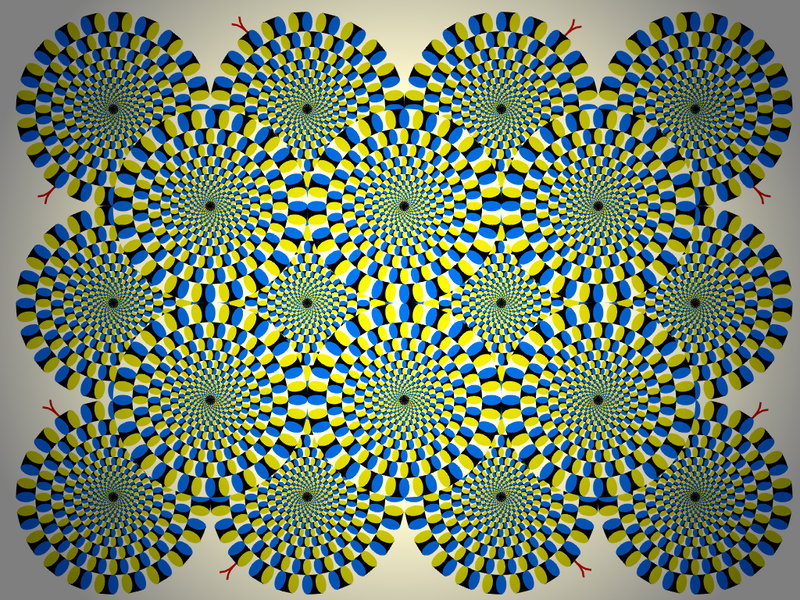 "Rotating snakes: a photo-like version"
Each disk appears to rotate counterclockwise. 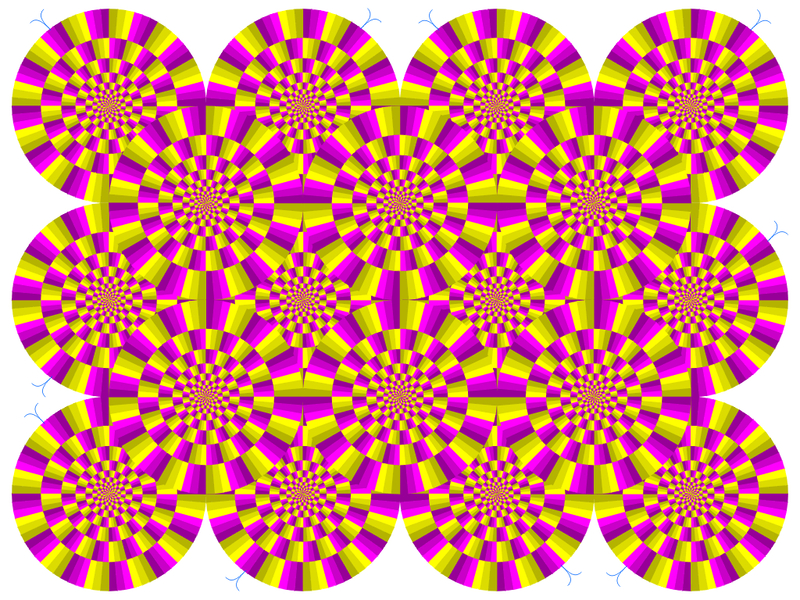 Disks appear to rotate quickly.